Your team has spent the last eighteen months cooking up the latest, greatest, video game to hit the market. Countless hours of effort and now the big payoff. You release the game for distribution and within hours it happens, pirated keys start showing up on Twitter. You cringe as you try to calculate how much revenue you’re going to lose to software pirating. 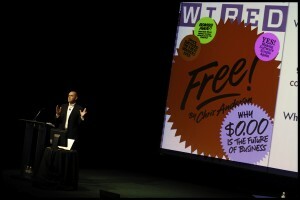 It is an all too familiar scenario and, according to WIRED magazine editor-in-chief, Chris Anderson’s latest book FREE: A radical new pricing structure, you’re the one t.o blame for all of this pirating. According to Anderson, setting the price too high, making an inferior product, or even adding DRM (Digital Rights Management) software are all possible reasons why people who would rather pay for your product have turned to pirating. But should you believe him? As with most modern books in this genre, it is filled with anecdotes that weave together a powerful story meant to support the author’s claims. Though that is not the best method to build one’s case, it seems to be an accepted practice. Having spent enough time being a pirate (in my early days) and later working in software development, I just didn’t believe the above story. So I did a little research and tracked down Cliff Harris from Positech Games to hear it from the source. The first thing that surprised me was that Harris didn’t even know he was in the book. It seems that Anderson was using a secondary source for his story and not going directly to the source… odd? Second, Harris had a much different takeaway from his experience talking with the pirates. Lowering the price didn’t work. It actually made less money overall. Maybe this is because my products (strategy games) are a niche market. I have carried out countless experiments price-wise and the current price ($20-24) is the best one for my products. It turns out people will always demand that stuff is too expensive when asked, even if it isn’t :D. I’ll believe that ‘free’ is the new business model the day my local grocery store lets me take the food for free. Till then… it isn’t happening outside a tiny media bubble. At the end of the day, someone has to pay for everyone’s food and shelter. Removing DRM was a good move in the long run. it meant less hassle for me, and happier customers, and a boost to reputation in terms of being an easy company to buy from. I suspect it has had a long term boost in sales, although such things are extremely hard to quantify for a small business such as mine. I’d guess a 5% boost in long term sales, but that is just a guess. A much different (and less compelling) story but it is the truth. Whether Anerson’s theories in FREE are correct or not, false anecdotes are no way to win them over. In order to protect myself, from what could be dangerous and misleading ideas, I now treat all of Chris Anderson’s writings with suspicion. In all fairness, Anderson may have just been guilty of sloppy research. In his source notes Anderson quotes Why People Pirate Stuff as his source for the Cliff Harris story, but if Anderson would have followed the link in the article he could have read Harris’s own words on the topic, Talking To Pirates. In Harris’s own words, “I think my current games are priced right,” He halved the price of an older game just prior to releasing the sequel and planned on keeping his new games at their usual $20 range. So, do you think Anderson was trying to mislead his readers or just guilty of sloppy research?